First time I'm posting what I've been doing at school. This week's assignment was the Roman Empire. 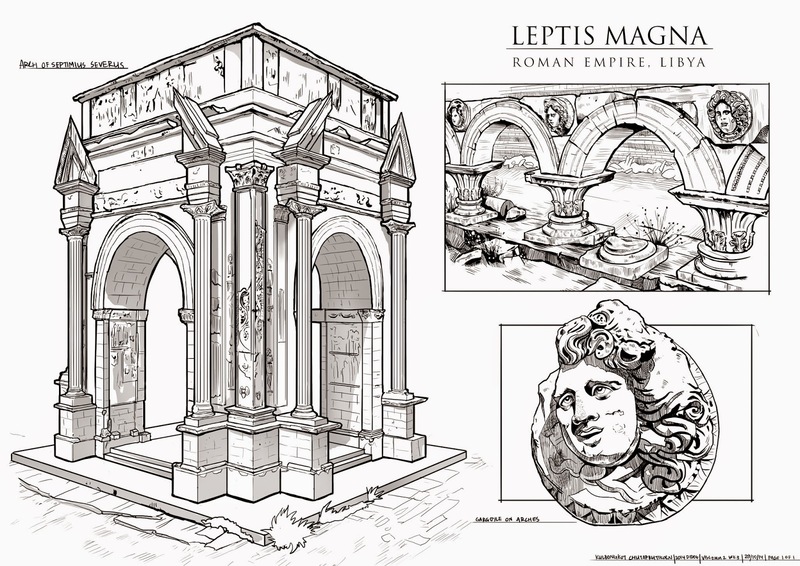 The subjects depicted are from Leptis Magna in Libya. It achieved greatest prominence in 193 AD when a Berber native son, Lucius Septimius Severus became emperor. It's a UNESCO World Heritage site and its structures are a beautiful mix of Roman, Berber, Carthaginian and Byzantine cultures.